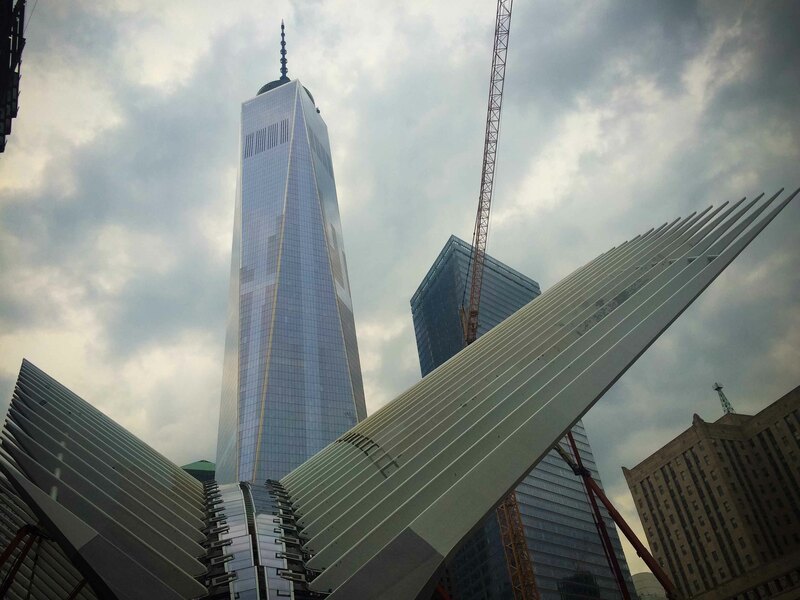 New York, New York, what a wonderful place! 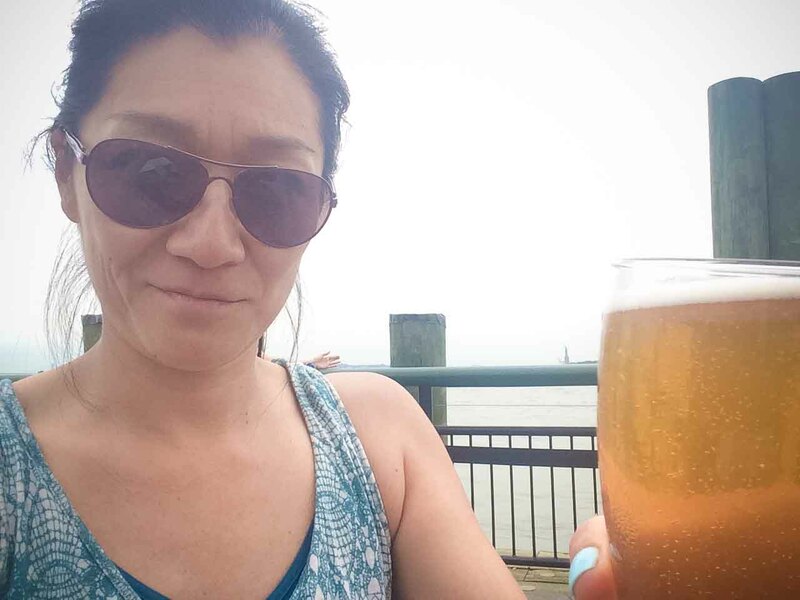 After visiting 4 years straight, I did not find my way to New York last year, so it wasn’t hard to fill an extended birthday long weekend in NYC with great new spots. Coming back to the city over and over, I’ve become the worst tourist, only noticing sites here and there in between my eating and drinking. I am in love with New York City but have a hard time picking up my camera. Instead, I’ve learned to enjoy the city by relishing in what my eye takes in rather than spending time behind a lens trying to get the “right shots”. Unfortunately the result in the purpose of my posting is a whole lotta food, with not much in between. Wednesday 8:00 am: Flying the red-eye into JFK means many hours to kill before getting to check into a hotel. This year, I’m staying in Tribeca, so while I had a few other breakfast suggestions on my list (Balthazar & Jacks’ Wife Freda), I chose to stay close and go to Locanda Verde. I’d been on a previous visit and remembered having a great meal there, and I knew I would be able to sit for a leisurely breakfast. 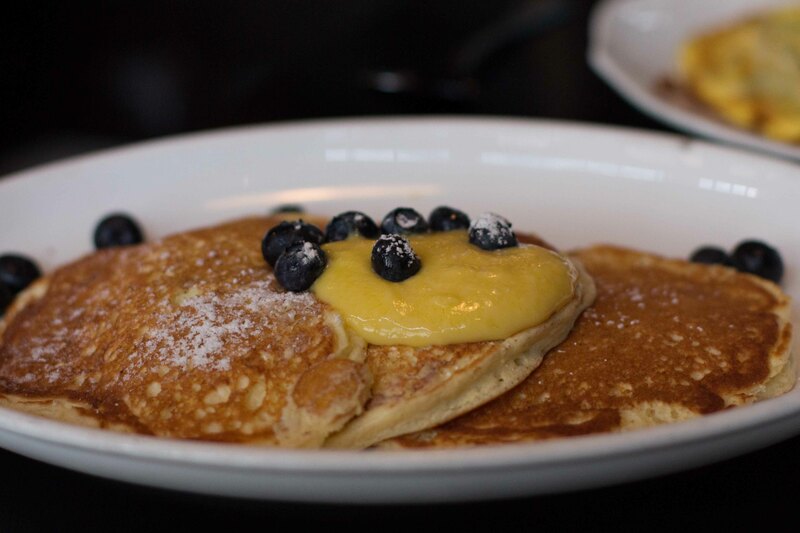 I never choose pancakes, but after loving the ricotta on my last visit to Locanda Verde, I knew I’d be in for a treat with the lemon ricotta pancakes with blueberries and Meyer lemon curd. Needing a bit of savoury to go with my breakfast, I ordered a side of sausage. While it was very good, I wasn’t sure if one should be charged $8 for 1 sausage cut in half. 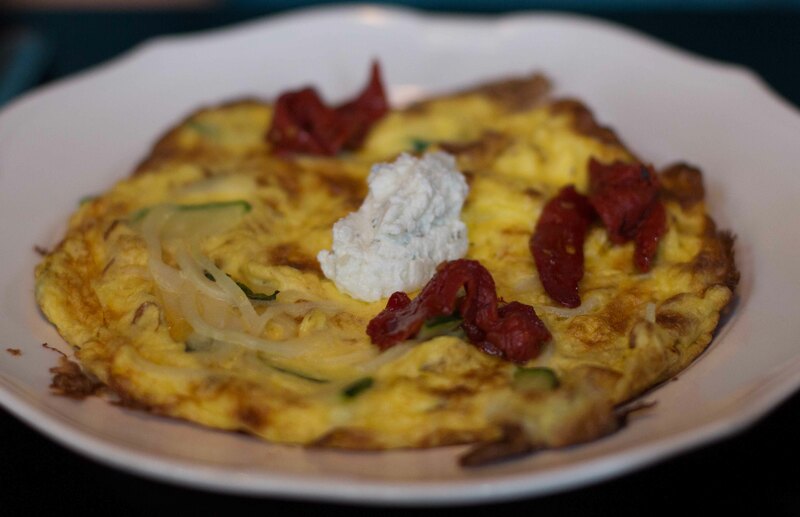 Zucchini Frittata with roasted tomato, fiore di zucca and goat cheese was light and fluffy. I need to make more fritattas at home. With hours to kill before check-in and a full belly to contend with, a walk was in my plans. Staying in south Manhattan gave me a new area to walk and explore. I was also so happy for the cloudy and unusually cool weather as it made for a great walking environment. Wednesday Evening: With such a huge breakfast and a need for a major nap to recharge from my red-eye flight, I completely missed an eating opportunity in lunch. I wasn’t worried though, I knew I’d more than make up for it with my 5 days in New York. I had 2 major Birthday dinner reservations for my 4 nights in NYC, and so unlike myself, I thought I’d “wing” the other 2 nights. Not that I didn’t have some ideas in mind, but this time I wanted to try to get into places that didn’t take reservations. On the tops of that list for me was The Spotted Pig. 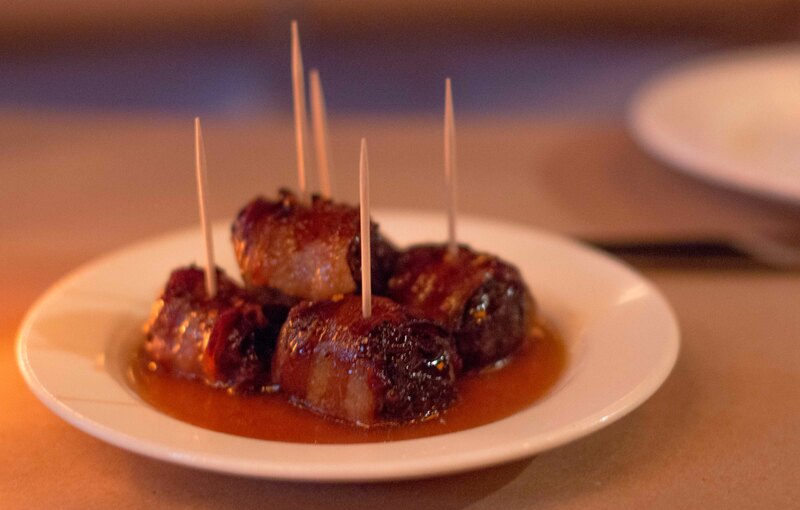 I have wanted to try April Bloomfield’s The Spotted Pig since my first trip to NYC in 2010. 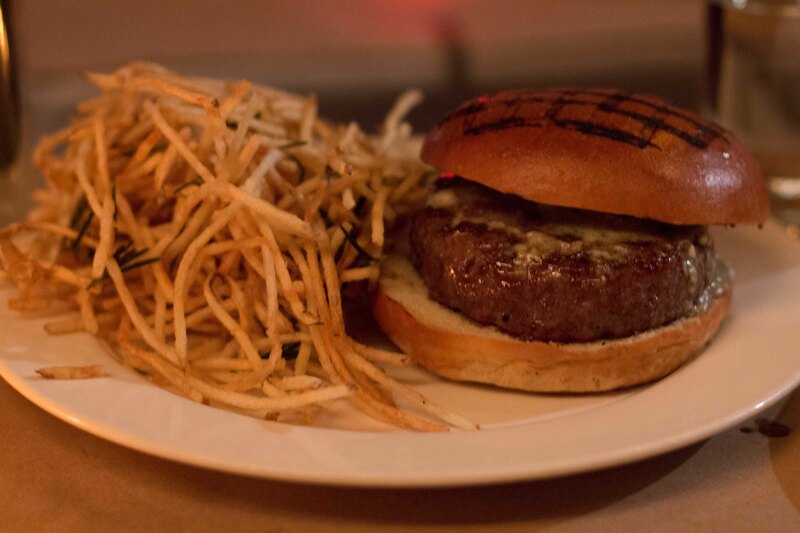 A Michelin starred gastropub serving an amazing burger was reason enough to be put on my first New York map in 2010, but wasn’t enough pull to actually get me there. But after watching Bloomfield on Mind of A Chef, I knew it was time to put the Spotted Pig at the top of the list again. Being more confident on this trip to know that I could make a great night even if I didn’t have a reservation, I happily made my way to the West Village to put my name down for dinner at the Spotted Pig. I was told the wait was 45 minutes to an hour, but wasn’t unhappy because I had a place in mind to play the waiting game. A few blocks away was a great cocktail bar Employees Only, where I was told I’d get something amazing to drink. 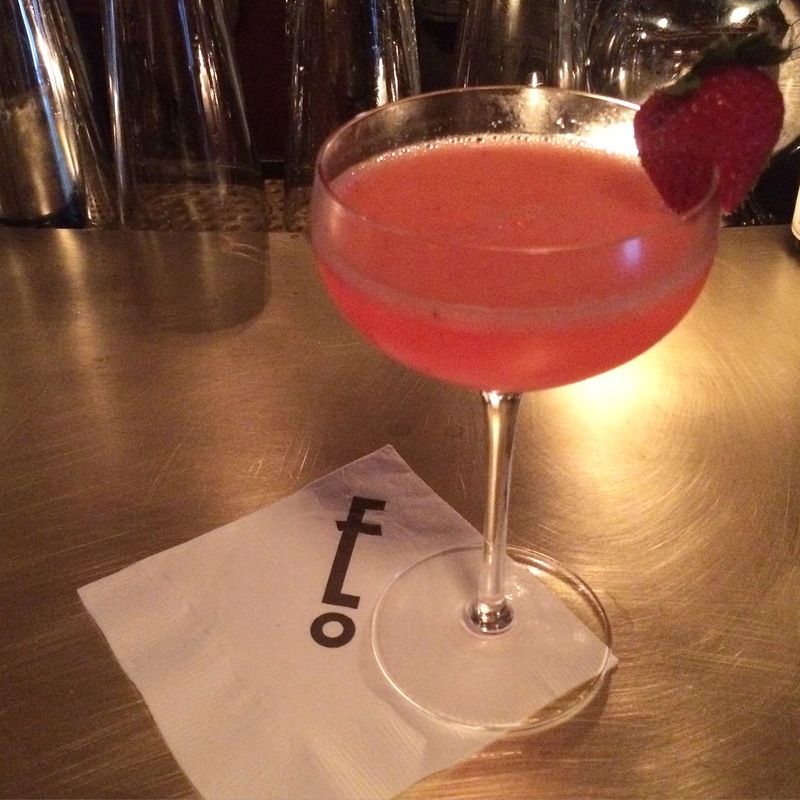 My first cocktail was amazing, and I went “dealers choice” for my second and was happy to be made a delicious gin and watermelon concoction. Unfortunately, a table at the Spotted Pig came up earlier than anticipated and I had to guzzle my second cocktail to get back to the Spotted Pig for dinner. I’ve never been so unhappy to not have to wait longer to get a seat in a restaurant for dinner. Luckily, I was going from an amazing cocktail bar to an amazing restaurant, so my regret in having to leave Employees Only only lasted as long as the 3 block walk back to the Spotted Pig. Once inside, I was giddy to finally be sitting in a restaurant that I’ve been wanting to try for over 5 years. From the menu, there was so much I wanted to try, but only so much space in my tummy, so chicken liver toasts and deviled eggs will wait until next time. 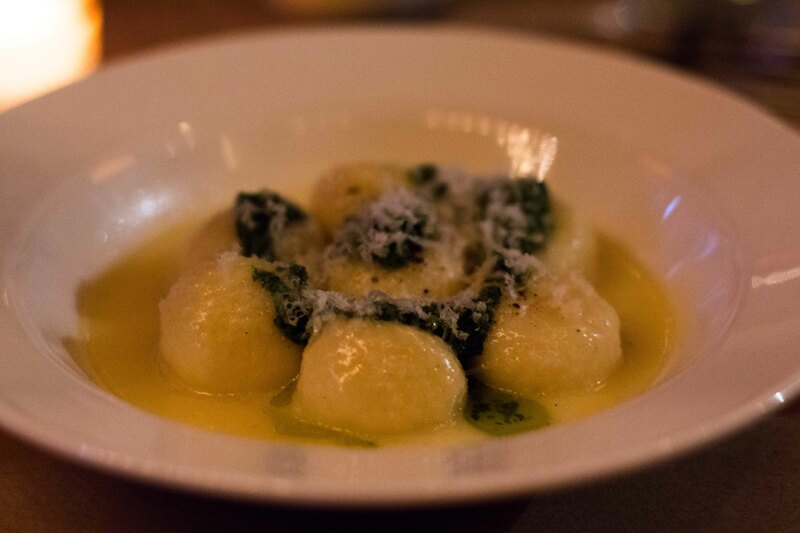 I ordered the Sheep’s Milk Ricotta Gnudi with Basil Pesto on a whim because I’d seen Bloomfield make it on an episode of “Mind of A Chef”. I’m so happy I did because it was one of my most memorable tastes of the trip. The burger was amazing. 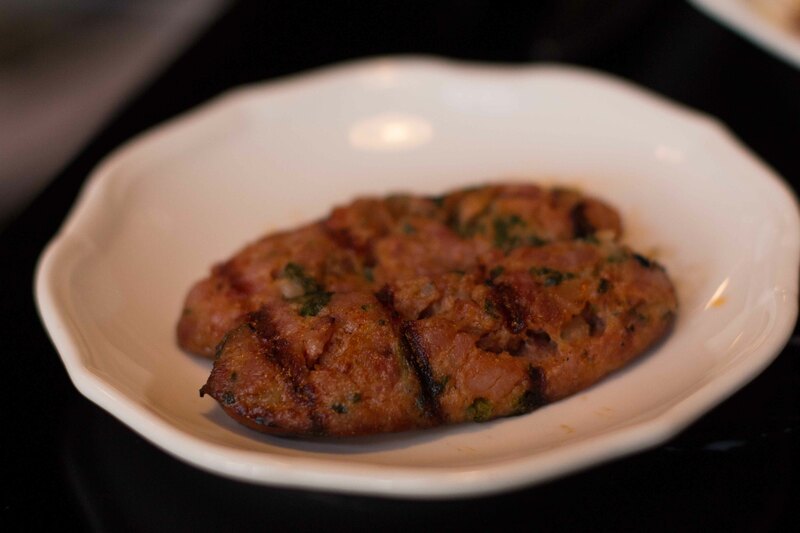 Simple flavourful meat and not messy which is the way I like it. I love shoe string fries but they never stay hot long enough. Thursday AM (My Birthday! ): Being in New York City for your birthday is a dream come true. I’m lucky enough that this is the third time I’ve been in NYC to celebrate my day. I must admit, these trips turn into a bit of a birthday week, but hey, I deserve it! I had a special dinner planned for the evening, so I wanted to be careful not to blow my appetite for that, but nothing stops me from enjoying to the fullest (despite the result of become the fullest), which is exactly what I did. I’ve always wanted to try the smoked fish at Russ and Daughters but going to their original store for take-out never worked in the plans. I am a girl who lives on a coast that sees a lot of smoked salmon, so given the choice between take-out smoked fish or take-out Katz’s (a block away), I’ve always chosen pastrami. But going to Russ and Daughter’s Cafe from some smoked salmon on a bagel for breakfast seemed like a great simple start to my day. Cousin Alex told me I had to try a soda, which I did. 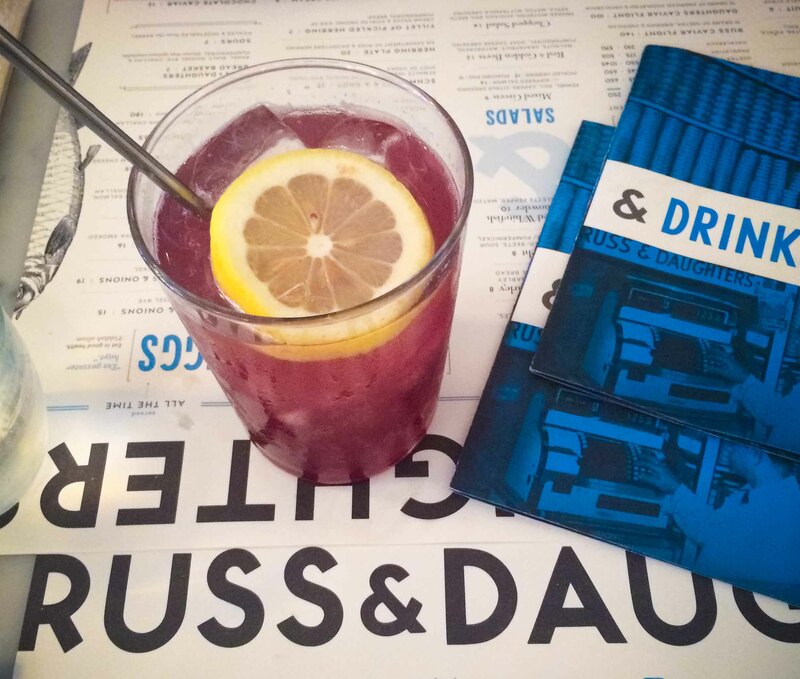 The blueberry basil soda was a perfect fizzy first taste of my day. 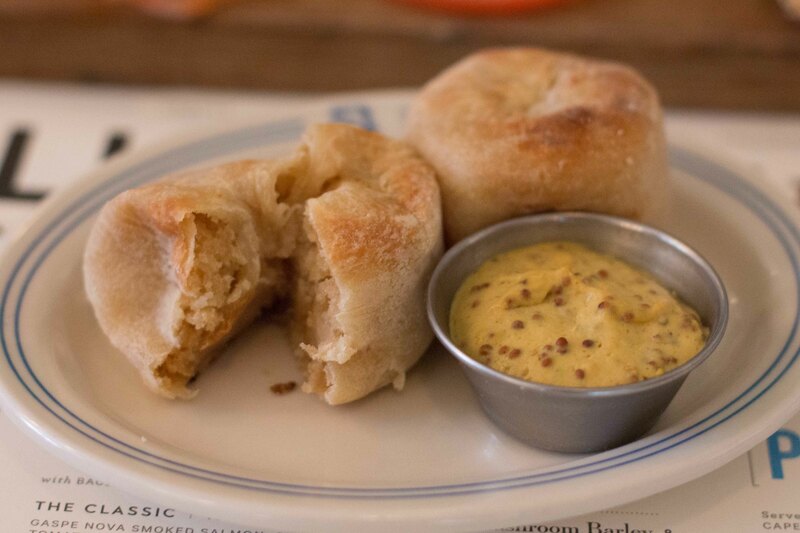 The best knish I’ve ever had. On every other knish I’ve had, the pastry overwhelms the potato filling. The balance on this was perfect. 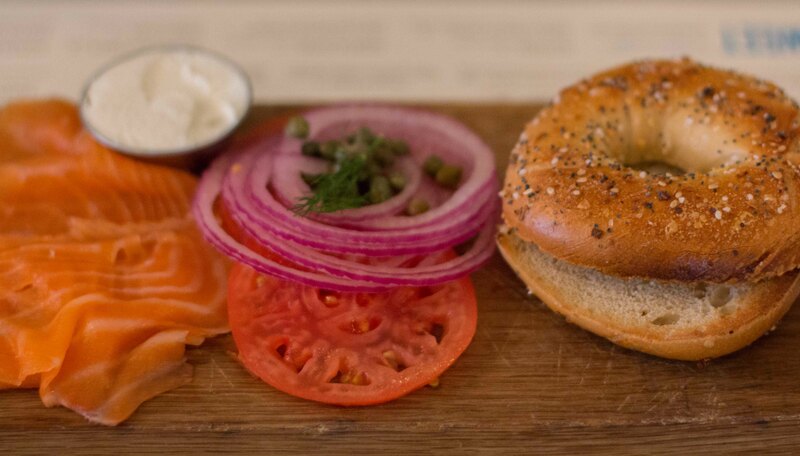 The Classic Board with Gaspe Nova smoked salmon, an everything bagel, cream cheese, tomatoes, capers and onions. Thoroughly fueled for the morning, I was ready to wander the streets of New York with no real plans other than walking south and seeing where I’d end up along the way. 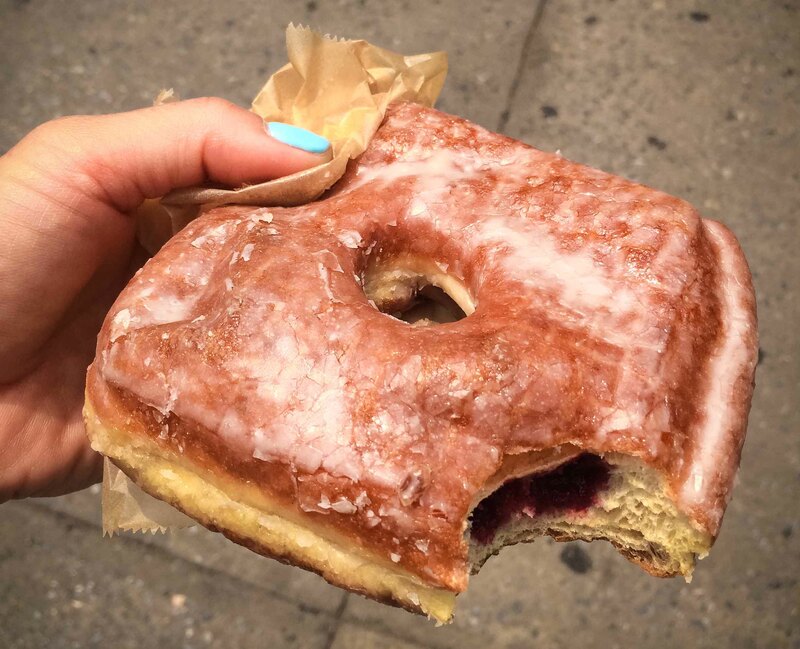 When you walk by Doughnut Plant, you have to stop. Yum to their vanilla bean filled blackberry jam doughnut! 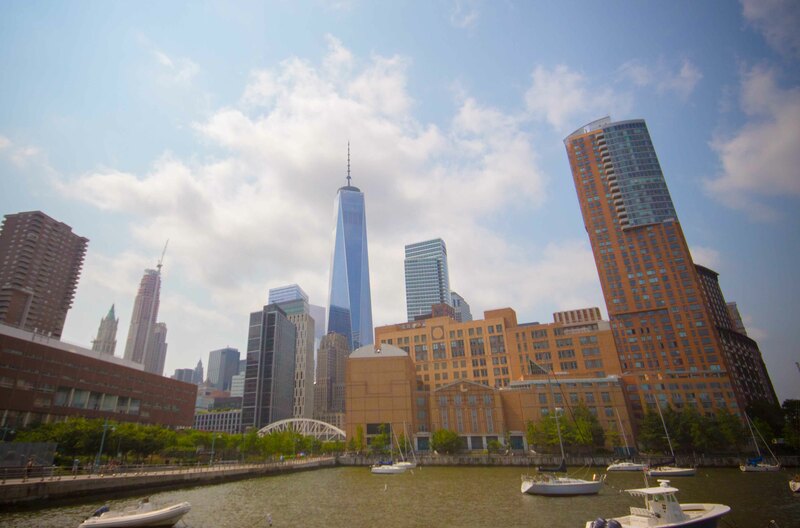 Thursday Afternoon: I ended up at the South Street Seaport at lunch and after checking out the Tall Ships that were in the harbour, I wandered through the stalls of the Smorgasburg that’s set up in that area all summer. Recognizing many names from my Eater/Serious Eats/Infatuation feeds, I was in a bit of a quandry as to what to eat. In the end, I had to try an original Ramen Burger by Keizo Shimamoto , just to say I’ve done it. 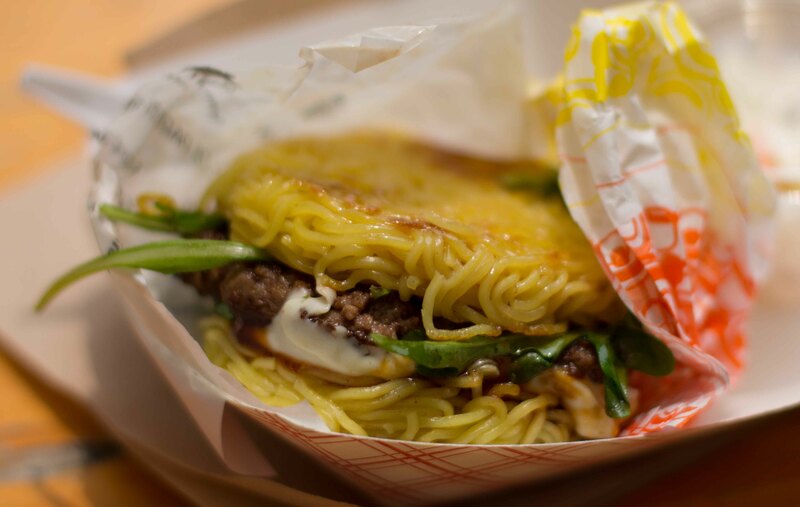 While a bun is the vehicle of a burger, that I tend to discard half way through I understood that the ramen was there to do more than carry the patty. But half way through this burger I felt that just because you can make a tasty ramen burger, doesn’t mean there’s a point to it… I’ll stick to having my noodles in a bowl. After walking my feet sore for the day, I had the perfect spot in mind to kill a bit of time before my afternoon nap to recharge before dinner. Actually Pier A Harbor House was my second choice, but Grand Banks was a bit in the wrong direction from where I was walking. I wasn’t sad though. It isn’t often you get to celebrate your day in view of Lady Liberty. Yes she’s tiny in the background, but definitely in view. While Pier A seemed a bit touristy, hey I’m a tourist, and it was a lovely way to spend a few hours relaxing outside. More to follow soon, including my birthday dinner (part 1) at Empellon Cocina’s Kitchen Table.